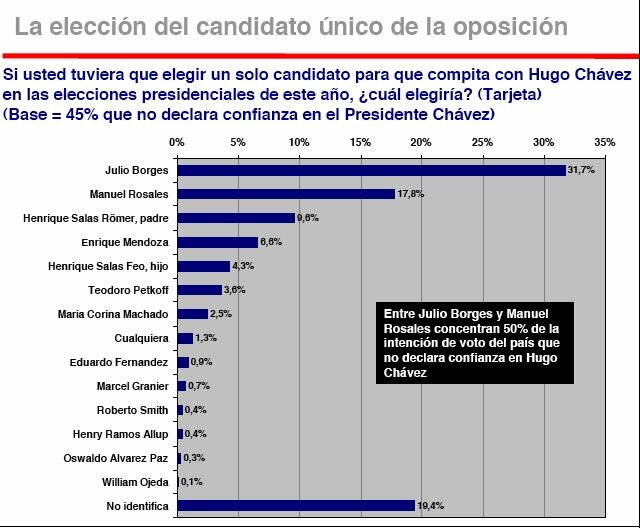 Well, Consultores 21’s latest poll is not for the faint of heart. Conducted from January 27th through February 7th and based on 1,500 living-room interviews in 66 cities and towns, the thing reads like the opposition’s death certificate. This next slide shows the country evenly split on whether to trust CNE. Two relevant things here: it contradicts the oppo sing-song that 80% abstention in December means 80% of voters don’t trust CNE. 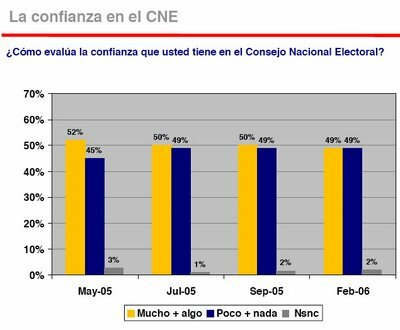 It also belies Jorge Rodríguez’s NAOR-based argument that vast majorities trust CNE. 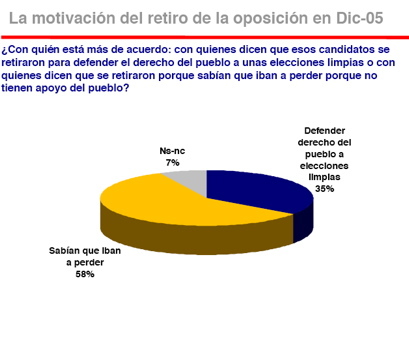 58% think the opposition pulled out because they knew they would lose. Not surprising given that, if they had voted on Dec. 4th, 61% say they would have voted for pro-Chavez parties and only 39% for opposition parties. 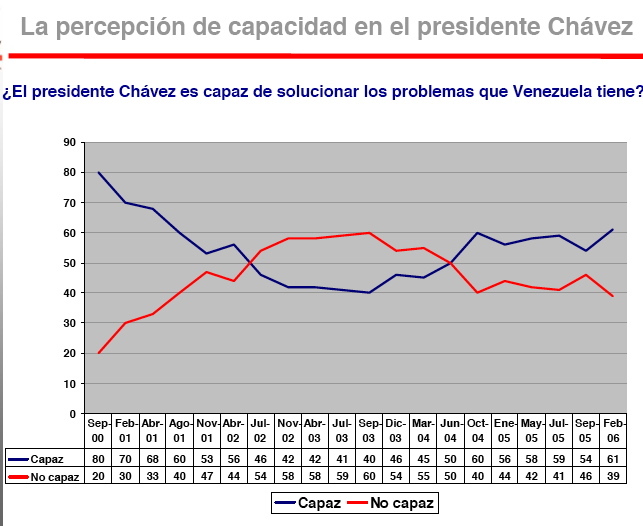 51% believe the withdrawal does not make the National Assembly less valid, while 43% think it makes it less valid. Anyway, the whole poll reads a bit like this. 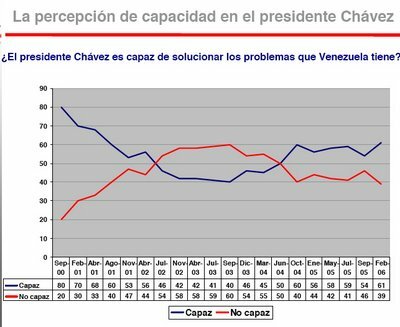 You find that 49% of respondents agree that Chavez strengthens their right to have private property, 49% think the Supreme Tribunal is working to solve the country’s problems, that José Vicente Rangel has a higher favorable rating (34%) than Manuel Rosales (30%), and on and on and on.